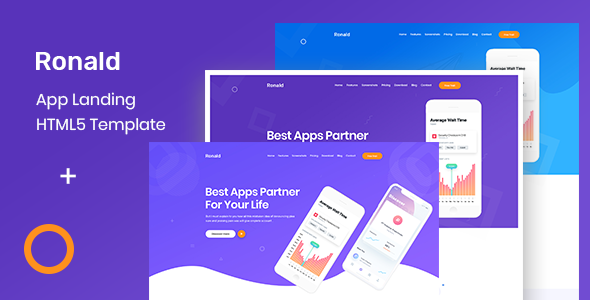 Ronald – is clean, modern and responsive App Landing HTML5 template. It is a unique custom design based on bootstrap 4x. It is 100% responsive and looks stunning on Desktop, Laptop, tablet, mobile or any device. Suitable for anyone who is looking for an app, app landing, app landing page, app landing template, App Showcase, app store, app template, app website, clean app landing, creative app landing page, landing page, mobile app landing page, modern app Landing, Simple App Landing Templates. What ever you are using the device your site will run as it should be. Docap template is fully responsive layout for all type of devices. Ronald template coded with beautiful and clean codes! Some powerful HTML files 100% valid W3 web standards.